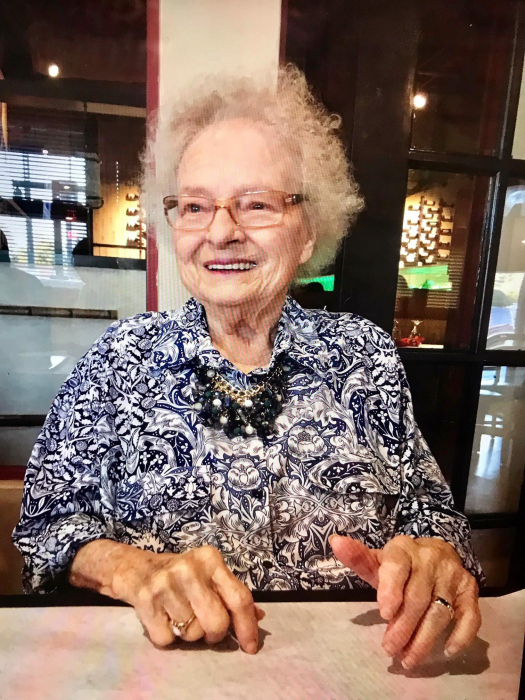 Margaret Ellen (Gribbins) Gibson, age 90, passed away on Saturday, April 6, 2019. She was born on October 7, 1928, in Spurlington, Kentucky, to Edgar Gribbins and Williome (Garrett) Gribbins. She was preceded in death by her husband, Osbon Gibson. She is survived by: daughter, Patricia Robinson and her husband, Brian, of Fayetteville; son, Ronnie Gibson of Tampa, FL; brother, William Gribbins of Ft. Meade, FL; grandchild, Jennifer Wallace and her husband, Gerald; three great grandchildren; and one great-great grandchild. A funeral service will be held at 11:00 a.m. on Thursday, April 11, 2019, in the chapel of Holly Hill Funeral Home. Pastor Carl DeLesline to officiate. Interment will follow at Holly Hill Memorial Park. Visitation will be held one hour prior to the service, from 10:00-11:00 a.m.